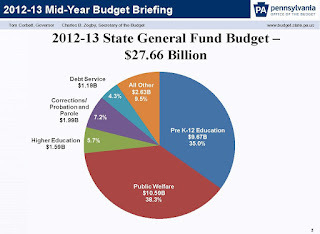 overview of Commonwealth's financial state and funding programs as well as projections for the upcoming 2013-2014 budget and what programs the Governor would like to see department Secretaries focus on. The Governor has reiterated to departments that they should prepare to level funding and that he "no new tax" pledge will continue. This could potentially lead to increase funding roadblocks for human services which would lead to additional burdens on the working poor. And they brought our favorite furry green creature from the Galapagos with them. Thanks so much to the Phillies for adopting PathWays PA families this holiday season! South Philly Sports Bar Accused of Skimming Low Wage Workers! Any reduction in tips...has a huge impact on their ability to earn a living. The United States Department of Labor has also started an investigation. ROC Philadelphia, PathWays PA, and many other organizations worked with Councilman Jim Kenney last year to pass a bill in Philadelphia ensuring that tipped workers did not have to pay credit card fees from their gratuities. This post is from our friends at MomsRising. Our thoughts at this time are with all those affected by the shooting in Connecticut, and with all those whose lives have been changed by violence. We are beyond heartbroken as we think of the kindergarteners and others that died today in Connecticut. Today is the 3rd day this week when there's been a mass shooting in our nation. We are parents. Many NRA members are parents. And none of us want to live in a nation where children are gunned down. #Todayistheday for the NRA and for Congress to step up and start proposing laws that protect children and all people. 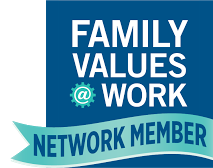 Trust Across America, a national radio show on the Voice America Variety channel, will air “Good Businesses Providing a Good Place to Work” Wednesday, December, 19 at noon. 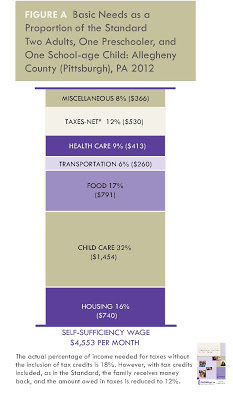 Women and Children First over the Fiscal Cliff! According to Dr. Heidi Hartmann, President of the Institute for Women's Policy Research in Washington, it's likely to be women and kids who suffer first if sequestrationis implemented. Here's what she had to say when interviewed on the Equal Time With Martha Burk radio show. There are many, many things [that would be cut]. The Maternal and Child Health block grant, Title X Family Planning, the Child Care and Development block grant that supports Head Start, child support enforcement. Food stamps are cut to some extent, and other food supplements like school breakfast and lunch programs. There's unemployment insurance, Pell education grants, housing assistance, home energy assistance. We could go on and on. The new Kids Count policy report from the Annie E. Casey Foundation shows that 6.5 million 16- to 24-year-olds are jobless and out of school. The lack of education, opportunity and connection to school or work has long-term implications for their financial stability as adults and can present significant costs to taxpayers, as government spends more to support them. The report emphasizes the need to provide multiple, flexible pathways to success for disconnected young people and find ways to reengage high-school dropouts. The report also advocates creating experiences that allow youth to gain early job skills through community service, internships, summer and part-time work and other opportunities. The survey, conducted this fall, provides a snapshot of conditions for Pennsylvania’s most vulnerable individuals and the human service agencies that provide services to these people. Survey data is comprised from responses from over 800 nonprofit organizations that serve all of Pennsylvania’s 67 counties. Responding groups include, but are not limited to, food banks, domestic violence agencies, libraries, faith based organizations, children services and agencies that serve senior citizens and people with disabilities. The data clearly demonstrates that nonprofits and social services organizations have sacrificed and shared in the pain from Pennsylvania’s recent budget woes. The number of people on food stamps has gone up in most mid-state municipalities over the past year, according to figures provided to The Patriot-News by the Pennsylvania Department of Public Welfare. According to an analysis done by Mark Price, an economist with Keystone Research Center, the number of people on food stamps in high poverty municipalities in Cumberland, Dauphin, Lebanon, Perry and northern York counties grew from 51,972 in July 2008 to 82,704 in August 2012, an increase of 59 percent. But the number of people on food stamps in low poverty municipalities in the same region climbed from 5,723 in July 2008 to 12,081 in August 2012, an increase of 111 percent. And according to Price's analysis, this trend is a result of unemployment. million victims in developed economies worldwide, many of them children. In the United States, many of the crackdown efforts have focused on young girls forced into prostitution. Lawmakers are making a renewed effort to strengthen human trafficking laws. As The National Conference of State Legislatures gathers in D.C, the selection of human trafficking as a topic for one of the two meetings legislators will have at the White House shows how crucial the once-ignored issue has become to state lawmakers, who have "seen a surprisingly sparse number of prosecutions" under existing laws. City Council approves funding for 100 additional shelter beds for survivors! City Council has approved $3 million in funding to support 100 additional shelter beds and other housing resources for victims of domestic violence in Philadelphia! In 2008, WAA (Women Against Abuse) alone was forced to turn away 1,705 requests for safety in shelter due to limited capacity. Less than four years later, this number skyrocketed to more than 8,400 turned away requests. This figure represents thousands of women and children in imminent danger who must find alternative sources of emergency housing - sometimes in other emergency shelters that are not intended to maintain the safety, privacy and confidentiality of residents, and other times in domestic violence shelters in neighboring counties.